These Core food fins are another example of our successfully completed projects for M&S. Our service levels and value ensured we were chosen for the project after a competitive tender process. As well as manufacturing, sorting into the relevant store package and delivery on time every time are critical KPIs in the project. 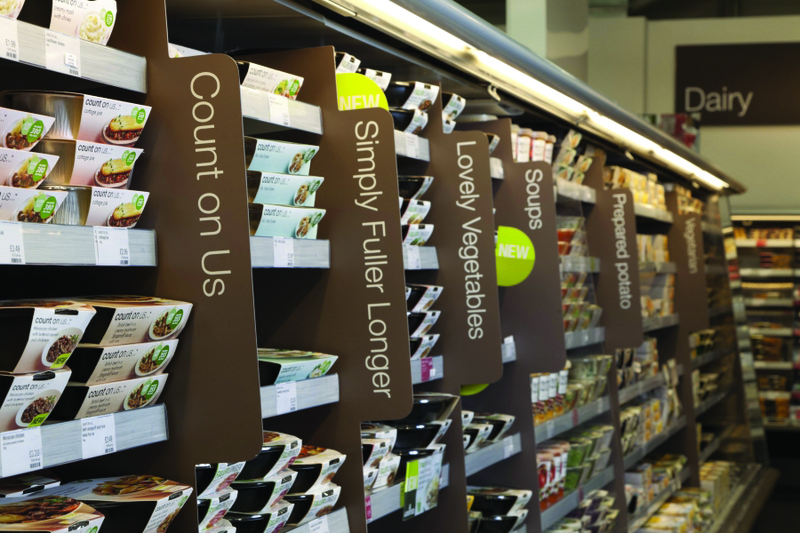 We print at the highest possible quality onto cost-effective plastic to create great looking and long-lasting signage in even the busiest M&S food retail environment. A successful re-tender on a rebranded look means we manufactured 1000s of these fins for use across the M&S store network.